Poly-phase solutions up to class 0.2 accuracy. 6000:1 dynamic range improves performance and reduces OEM''s overall cost of manufacturing and bill of materials. Compliant with IEC62052-11, IEC62053-22/23, ANSI C12.1, C12.20. Lowest temperature drift in the industry for this type of device. 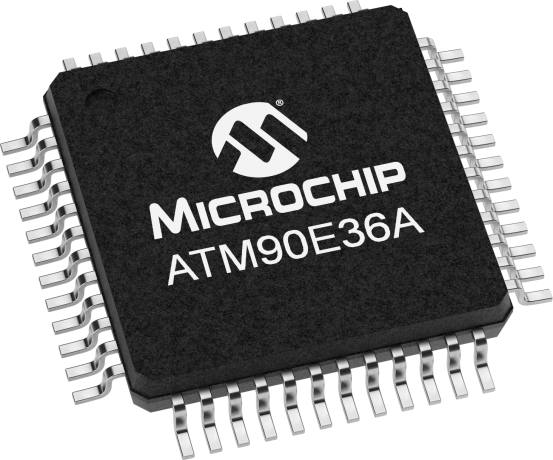 The ATM90E36A is a high-performance energy metering device for three-phase four-wire (3P4W, Y0) or three-phase three-wire (3P3W, Y or Δ) systems. It is also applicable in Data Acquisition Terminal. With the measurement and Fourier analysis functions, the ATM90E36A can also be used in power monitoring instruments which need to measure voltage, current, THD, DFT, mean power, etc. 6000:1 dynamic range improves performance and reduces OEM's overall cost of manufacturing and bill of materials.